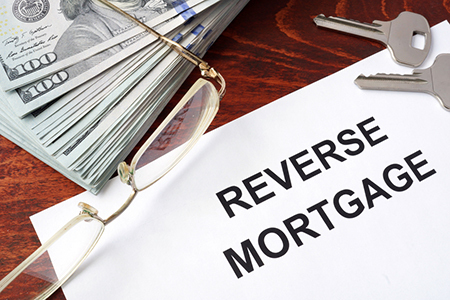 (TNS)–As a federally insured reverse mortgage program under the Federal Housing Administration, the home equity conversion mortgage program is not designed to help the wealthy. In calculating maximum draw amounts, the highest property value it will recognize is $625,500. If your house is worth $1 million or $10 million, you can’t draw more than the amounts available on a home worth $625,500. Further, although higher value properties reduce the risk of loss to the FHA, the mortgage insurance premium is the same for a property worth $1 million and one worth $625,500. This does not mean, however, that owners of pricey homes can’t use the HECM program to their advantage. They can, and I’ll explain how in this article. The key question, which is the same for all senior homeowners, is whether the withdrawable amount available on an owner’s house can make a significant difference in her lifestyle. If the answer is yes, the case for the HECM is as strong when the house is worth $1 million as when it is worth only $625,500. The reason is that the owner of a pricey house, who has excess equity upon entering the program, will retain it when leaving the program, whether by selling the home, moving out of it permanently or dying. An owner with excess equity whose intent is to leave the equity to her estate, can do exactly that. What she cannot do is convert all equity into spendable funds for her own use unless she decides at a future time to downsize by selling her existing house and paying off the HECM. She can then buy a less-pricey house with a new HECM, converting the excess equity into investable funds. Here are three examples of 65-year-olds looking ahead 12 years who own a million dollar home but have different needs. Sam is 65 with a home worth $1 million that has an outstanding mortgage balance of $300,000. His objective is to rid himself of the monthly payment by paying off the balance with the HECM, while retaining as much of his equity as possible. The HECM he selects is an adjustable with an initial rate of 2.975 percent and origination fee of $3,500. This combination of rate and fee will result in the lowest HECM debt after 12 years, which was his target period. Sam’s equity after 12 years is the value of his home at that point less his HECM debt. Assuming an annual appreciation rate of 4 percent, which is the figure that the U.S. Department of Housing and Urban Development uses in calculating draw amounts, Sam’s home will be worth about $1.6 million. His HECM debt will be anywhere from $532,000 if the initial rate of 2.975 percent remains unchanged for 12 years, to $884,000 if the rate immediately jumps to the maximum of 7.975 percent. Sam’s estimated equity, therefore, will be somewhere between $717,000 and $1,072,000. This is the amount Sam would realize if he sold the house and paid off the HECM at age 77, and it is also the amount that would go to his estate if he died at that age. Let’s now assume that Sam is alive and kicking at 77 but no longer needs the house with the HECM. As is the case with many seniors, he wants to downsize. So he sells the house and pays off the HECM, realizing (on the most conservative assumption) about $717,000. If his new house costs $600,000, he can draw about $358,000 on a purchase HECM at age 77, and will pay the balance of $242,000 out of his sales proceeds. That would leave at least $475,000 for investments. Sue selects an adjustable HECM at 4.725 percent with a $6,000 origination fee that offers the largest tenure monthly payment—one that lasts as long as she lives in the house—of $1,844. Sue uses less equity than Sam over 12 years because her draws are spread out over the period rather than upfront. Her equity at the end of the period is between $1 million and $1.2 million. Sue has the same option as Sam to downsize by paying off the HECM and taking out another one to purchase a less costly home. Sheldon selects the same HECM as Sue because it generates a larger credit line over 12 years than any of the other available HECMs. The line at that time will range from $671,000 to $1,113,000, depending on what happens to his HECM interest rate. This is the amount Sheldon will be able to draw in order to invest in income-earning assets. After this draw, Sheldon would still have equity of anywhere from $451,000 to $908,000. As with Sam and Sue, Sheldon could also downsize if that was where he wanted to go. In sum, seniors with houses worth more than $625,500 retain their excess equity when they take out a HECM reverse mortgage, and if they decide to downsize at some point, they can convert the equity into investable funds. No two seniors, of course, are exactly alike, and each requires a plan that is hand-tailored to their needs, their preferences and their outlook. My HECM calculator was designed for that purpose. tributed by Tribune Content Agency, LLC.